Strength training programs can vary depending on a wide range of factors. Is the goal strength, size, or a combination of the two? Is athletic performance the main objective? Bulking up, or slimming down? How many days per week can you train? How much experience do you have lifting? And so on and so forth…. Regardless of the specific goal, however, the one thing that should remain constant in any training regimen is the incorporation of The 6 Foundational Movements. Not only will they get you stronger much quicker than isolating specific muscle groups, but they will also keep you healthy—because when you train your body the way it evolved to function, you are preparing your muscles, joints, tendons, and ligaments to withstand the demands of real-world activity. Squats, and their many variations, are a knee-dominant exercise, and, while an amazing full-body movement, specifically target the quads, glutes, and hamstrings. The Lunge is also a knee-dominant exercise; but while the squat is performed bilaterally, these are executed unilaterally and are great for working the smaller stabilizing muscles and evening out imbalances. 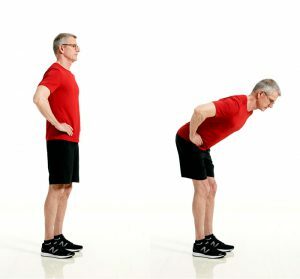 As the name implies, this is a hip-dominant movement, stressing the muscles of the core (abdomen; low back) and posterior part of the legs (glutes; hamstrings). Pressing, both horizontally and vertically, will utilize the muscles of the chest, shoulders, triceps, and upper back (stabilizers). Pulling, also both horizontally and vertically, will work the muscles of the biceps, shoulders (posterior delts), and back. 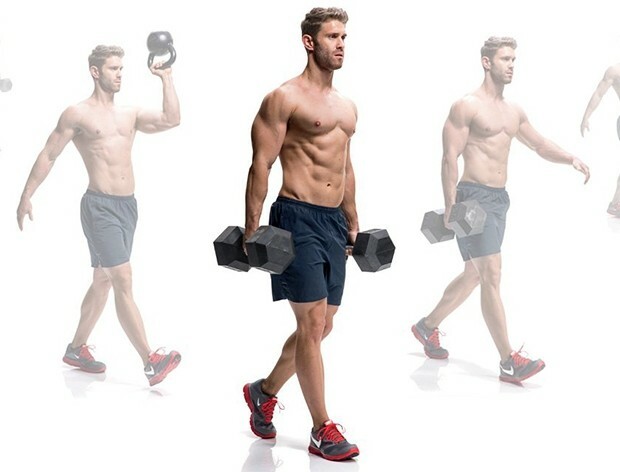 Loaded carries are a fantastic full-body exercise. Their numerous variations can help build up core strength, the muscles of the shoulders and upper back, as well as the arms and lower legs (calves; ankles). I recommend training each movement pattern at least twice per week; and using both bilateral and unilateral variations of each. Total training volume and intensity will vary depending on all the factors I listed at the beginning of this article—but regardless of your goals or whether or not you’re a beginner or an expert, these six movements should make up the foundation of your program. Add in 5 to 10 minutes of high-intensity conditioning at the end of your work-out; and make sure you give yourself at least one day in between each session. If you just want to be strong and healthy and aren’t looking to compete in the next Crossfit Games anytime soon, a plan like this will be more than enough to achieve that goal. Eat a balanced diet; do some stretching and foam rolling when you feel tight; go for a walk on off-days; get plenty of sleep and time for leisure—and you’ll be on your way to life-long health and fitness.